Chips de maïs rondes à gratiner (sachet de 185 g). 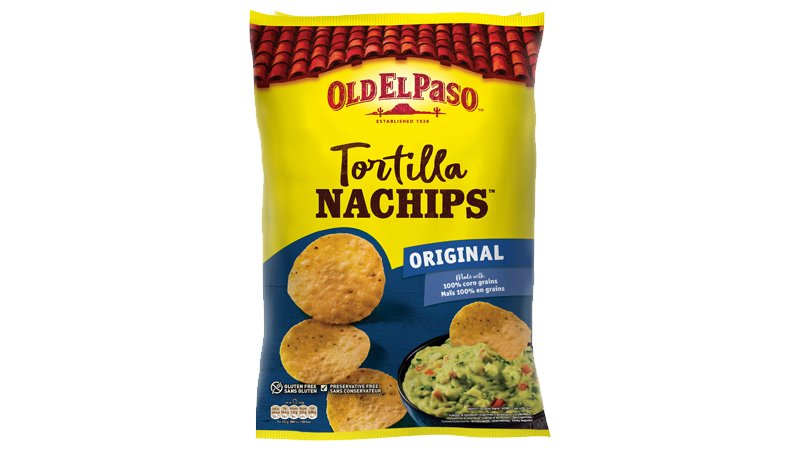 All Old El Paso™ products are subject to reformulation at any given time. We therefore recommend that you always check the ingredient list on our product packs prior to purchase to determine product content.